LatinaLista — Mainstream media has crowned the Latino Millennial as the most influential of the Latino market. Yet, a new Nielsen study shows that Mainstream America is discounting a very important segment of the Latino population and, in fact, may be rushing to judgement on who actually wields the kind of power among Latinos sought after by Corporate America and national political parties. The New American Vanguard: Latinos 50+ are Healthy, Wealthy and Wise is a report detailing how Hispanic Baby Boomers (50-64) and Greatest Generation (65+) are changing the traditional definition of the Golden Years. 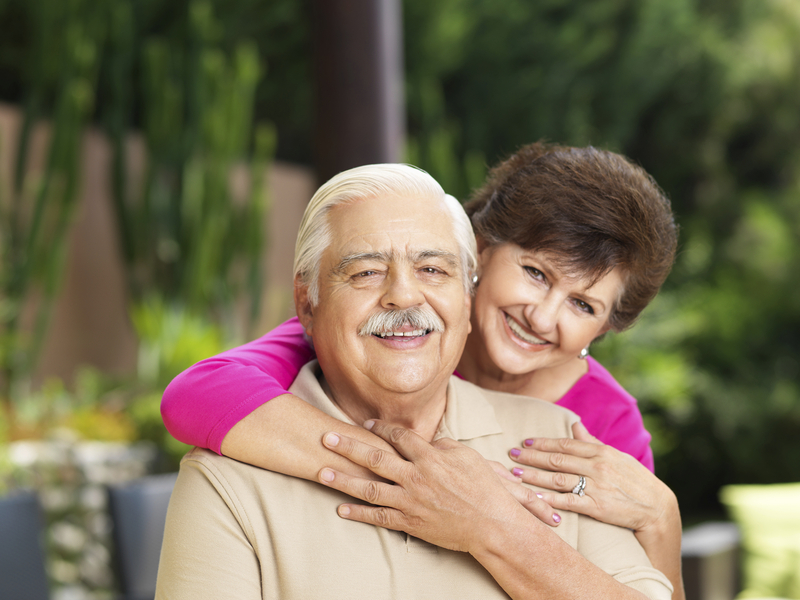 According to the report, Hispanics 50+ are not "aging out" of life but "aging up." With a life expectancy of 83.5 years, compared to 78.7 for non-Hispanic Whites, the number of older Hispanics are expected to grow to 42 million, or comprise 24 percent of the population by 2060. More income translates into larger purchasing power — and more frequently. Researchers found that older Latinos not only go shopping more often than their White counterparts but when they do they're buying for a wider range of ages. It also appears that political clout is actually growing among Hispanics 50+, who are being touted as possible swing voters in local and state elections, especially in California, Texas, Florida and New York where the majority of older Latinos live. "Hispanics over the age of 50 have not aged out, but are aging up with an influence that extends to multiple generations. These are the original innovators, unsung influencers and true pioneers who laid the groundwork for the booming economic force that Latino consumers represent today," said Luis A. Miranda, Jr., Nielsen External Hispanic/Latino Advisory Council Member. Forty percent of Hispanics ages 55+ lived in multigenerational households in 2013, compared to just over a fifth of the total population in that age group. Hispanic Boomers over–index non-Hispanic White peers in seven of 11 departments (e.g., health and beauty aids, general merchandise, non-food grocery, packaged meat, dry grocery, fresh produce and alcoholic beverages). Seventy-three percent of Hispanics 50+ often cook at home rather than eat out, compared to 62% of younger Hispanic adults. Hispanics ages 50-64 watch 162 hours of traditional TV each month. Hispanics 65+ watch a total of 230 hours per month, nearly doubling total Hispanic viewing for all ages of 121 hours. Both younger and older Hispanics choose Facebook as their number one app. Hispanics ages 50-64 spend more time on Google Search, Gmail, Pandora and Google+ than those 18-49.